Yesterday, I posted about authors getting into shape. That got me thinking about the physical fitness habits of fictional characters. “Person versus nature” is a classic literary theme. A character engaged in an outdoor activity like backpacking, skiing, or trekking might find themselves combating nature’s fury in the form of a landslide, earthquake, or avalanche. A character might undergo physical training as preparation for battle against their antagonist. Even if you’re not a fan of sports films or boxing, when someone says, “Rocky,” you imagine Sylvester Stallone’s triumphant run up the steps of the Philadelphia Museum of Art. “Dr. Strange” features several scenes of Benedict Cumberbatch enduring physical as well as magical training. Superheroes require physical toughness to fight the forces of evil. Two my favorite movies, “Stripes” and “Private Benjamin,” present the rigors of military physical fitness as both a literal antagonist to overcome and as metaphorical antagonist for the characters’ battles against themselves and others who are betting on them to fail. Christine Sneed, one of the authors interviewed for the article, “How the bookish stay in shape,” (William Hageman, Chicago Tribune, November 11, 2015) includes college athletes and distance runners as characters in her novels. Author Philip Brewer wrote a 2013 blog post, “Fictional characters getting in shape,” describing how he enjoys scenes showing the protagonist engaged in fitness activities. He lists Man on Fire, Wise Man’s Fear, Critical Space, and, of course, “Rocky,” as examples. Commenters on the post mentioned the Travis McGee, Doc Ford, and Elvis Cole series as others. What about you? 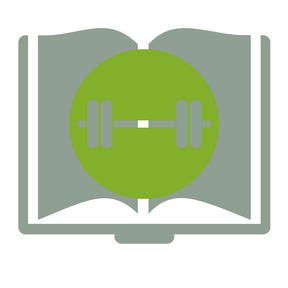 Are you a fan of physical fitness in fiction? As a plot device to put a character in jeopardy? As preparation for the ultimate battle? As a metaphor for a battle against self-doubt? Or as a way to show that characters are as human as we are? Leave a comment on the blog or come over to Facebook to share and discuss.